I participated in an Influencer Activation on behalf of Influence Central for Ruby Rocket’s. I received product samples to facilitate my review and a promotional item to thank me for my participation. A few years ago I made a point to get healthy, again. I didn't realize how out of shape I was. Since then I've continued to push myself in the gym and overall make healthier food choices. For me it's easier to not keep certain items in the house. If it's not there then I'm not tempted. But life is about finding balance not depriving. 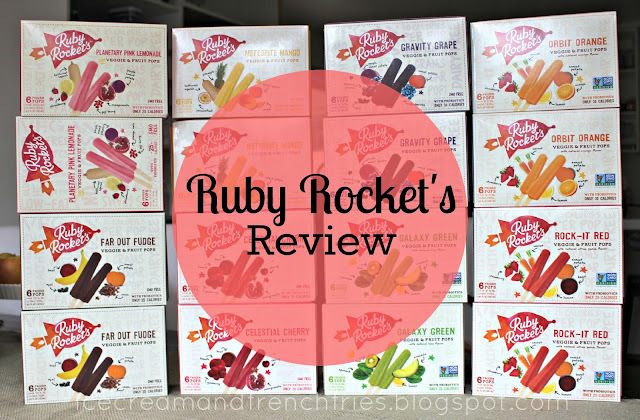 When I first heard about Ruby Rocket's I wasn't sure what to think veggie + fruit pops? Interesting combo right?! Well Ruby Rocket's is the 'treat' balance I was looking for. The pops provide a nutritional solution to sugary treats [i.e., ice cream, snickers, etc.]. Containing only naturally occurring sugar, Ruby Rocket’s ice pops are a great frozen treat following your workout or as a mid-morning snack during a hectic, active day. Oh, they don't taste too bad either. I mean my husband even loves them and he's not a big treat guy. What makes Ruby Rocket's a healthier option? 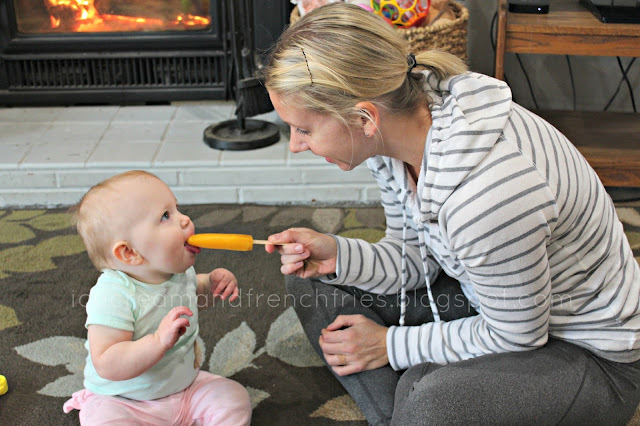 - Ruby Rocket’s ice pops contain only real food that a 6-year-old can pronounce but adults love. - All Ruby Rocket’s frozen pops are no more than 40 calories and are made without any artificial colors, flavors or preservatives. 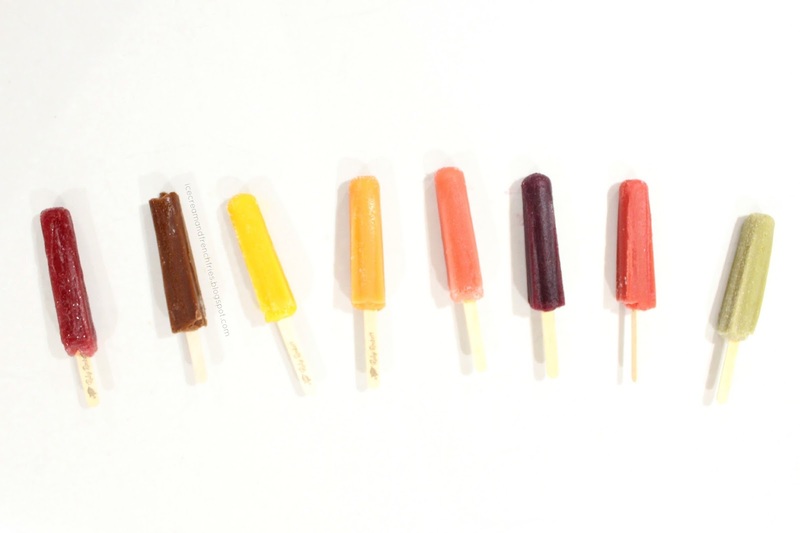 - The frozen pops have the lowest amount of naturally occurring sugar (4-6 g) of any pop on the market. - Monk Fruit Ingredient: The monk fruit is a melon that grows in the Pacific and is up to 250 times sweeter than sugar. It is gaining popularity as an alternative to aspartame or sugar and has the delicious sweet taste without the calories. - Probiotics: Ruby Rocket’s uses Ganeden BC30 composition, which has the ability to survive the manufacturing process to withstand freezing temperatures; allowing you the same healthy benefits in frozen form. Originally Ruby Rocket’s entered the frozen-snack category with three flavors of veggie & fruit pops: Galaxy Green, Rock-It Red, and Orbit Orange. They now offers eight flavors with the recent addition of: Celestial Cherry, Far Out Fudge, Meteorite Mango, Gravity Grape and Planetary Pink Lemonade. Yours truly was able to sample each flavor! Celestial Cherry [yumberry, beets, tomato, pomegranate and cherry]: This was my least favorite. To me it was very beet and carrot tasting. Far-Out Fudge [banana, beets, ace, sweet potato and cocoa]: I personally liked this one more the second time around. Obviously it's not a fudge pop, but it curbs the craving. BTW-- didn't taste the beets at all! Meteorite Mango [pineapple, sweet potatoes, butternut squash, mango and passionfruit]: Hands down my favorite flavor. Slightly tart, but so yummy. All I could taste was the mango and pineapple. Little miss Emerson loved it as well. Orbit Orange [sweet potatoes, strawberries, banana, orange and carrots]: Tasted just like an orange pop. This was my hubby's favorite. Planetary Pink Lemonade [purple sweet potatoes, strawberries, butternut squash, pomegranate and goji berry]: I wasn't a big fan, but apparently it's a fan favorite among my friend's kids. It was too sour for me. Gravity Grape [acai, concord grapes, purple sweet, sweet potatoes and blueberries]: I'm just not a grape fan period. However, my hubby liked it. Rock-it Red [Strawberry, beets, banana, sweet potato and carrot]: Not bad. The strawberry and carrot really stood out to me. Galaxy Green [avocado, spinach, kiwi, green apple and banana]: Not bad if you like Avocado -- which I do. I felt this pop had more of a overall veggie taste. Although I didn't care for all the flavors, overall I really liked the Ruby Rocket's veggie & fruit pops. Luckily our local Raley's carries my favorite flavor, Meteorite Mango. I will actually purchase a box [or two] again. It's nice to know there's a tasty 'healthy' treat alternative out there. Because they are full of good-for-you ingredients I don't mind sharing with miss Emerson! According to my husband he liked all the flavors. 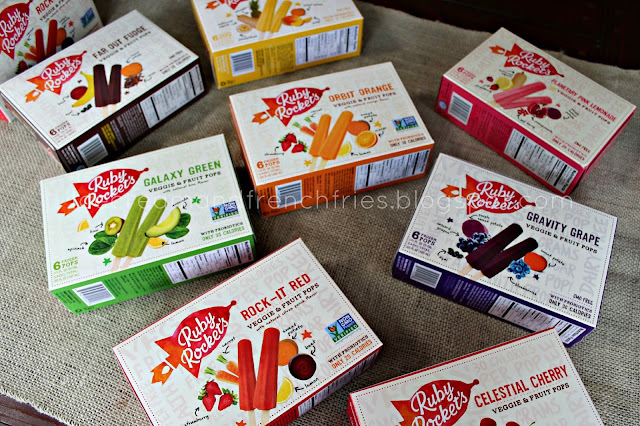 Ruby Rocket’s frozen fruit and vegetable pops add a healthful boost to your snacking routine! 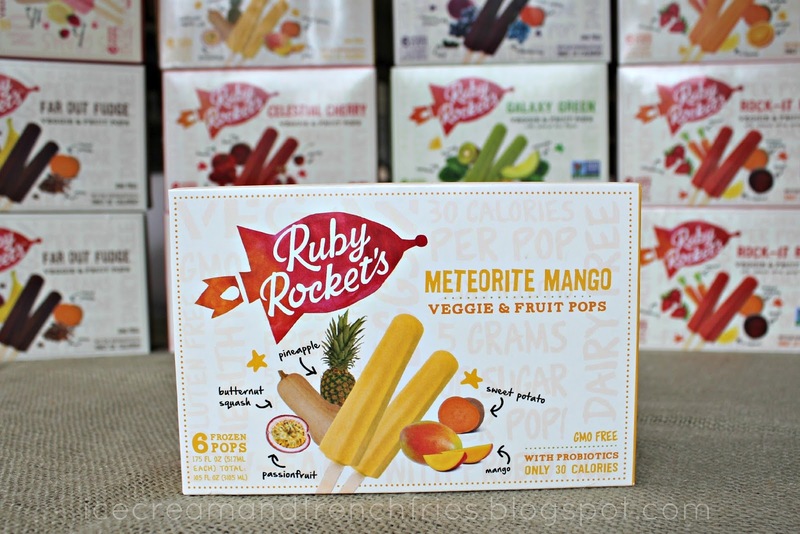 Have you tried Ruby Rocket's veggie & fruit pops? If not, would you?